Must We “Love One Another” Even in Church? We are in the research phase, so we haven’t yet decided which specific stories to use. But here are a few of the attorneys we’re following at the Neighborhood Christian Legal Clinic in Indianapolis. Think Atticus Finch, but more human. 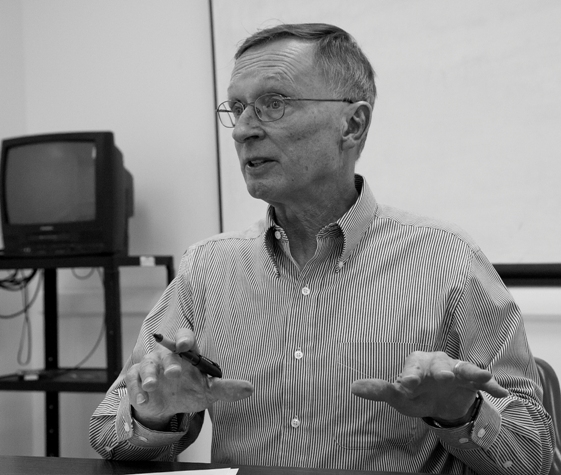 Art Johnson, a retired Brigadier General from the Strategic Air Command who participated in the SALT talks back in the 70s, disarms his litigation opponents through a very direct approach. Merryn Gluys, a middle-aged mother, feels great empathy for her family law clients, having grown up with a close family member who is bipolar. Merryn’s mission seems to be putting families back together. To do that, Merryn was willing to drive 243 miles, each way, to go to law school in Michigan for three years while raising her own family in Indianapolis. Joshua Abel, the Clinic’s youthful-looking Executive Director, focuses his staff meetings more on the Bible than business. Plus other attorneys and professionals who offer counseling and assistance. It takes a village, or the body of Christ, to serve a client. Review: How Will We Feed Them? I am a big fan of the multimedia work MediaStorm is producing. Having heard Brian Storm talk a couple times about their production process, most recently as a part of the Kalish Workshop, I can’t help but be impressed by both their business model and the multimedia clips they produce. Indeed, as I work to organize Storytelling Ministries, I intend to borrow liberally from the MediaStorm way. Over the last six months, I’ve published an ongoing series of posts discussing the MediaStorm business model, and have been candid in my praise. It’s been a while since my last post, and that’s partly because I’ve been pursuing a story. I’d like to outline that story here, and get feedback or suggestions as to how to improve it. I’ll start with some market research, then my goals or objectives in telling the story, and finally a description of the story arc itself. As an appendix, I will also include a theological discussion of what Christian legal aid should be about. What If Today Is Opposite Day? 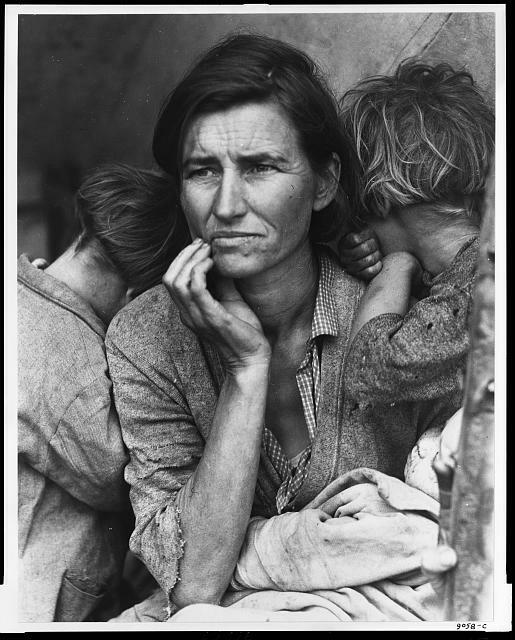 I suspect the vast majority of people reading this post have seen Dorothea Lange’s photograph entitled Migrant Mother, an image of a woman as she ponders her future during the depression. This 1936 picture has been used innumerable times to illustrate the plight of folks migrating to California in search of work. What makes one of these pictures more legitimate than the other in documenting the lives of these migrant workers? How do we know which picture is the right one to use in telling the story? If multimedia producers such as Brian Storm of MediaStorm followed the typical business model in dealing with photographers as suppliers of the content, they would seek to get maximum value at least cost. But from my observations at his conferences and his website, I doubt Brian thinks strictly in those terms. He seems quite passionate about helping those in need throughout the world, and he also seems quite driven to help photographers earn a decent living. Over time, though, producers must think at least generally along the lines of maximum value from their suppliers (photographers) at least cost to stay in business. In a competitive world, a sustainable business needs to earn a return sufficient to compensate the owners and employees. So let’s look at the natural consequences and strategies that both producers like Brian and documentary photographers can follow to achieve sustainability. This is the second post in a four-part series on the multimedia business model. In the first post, we looked at the relationship between multimedia producers and their customers. We explored how companies like MediaStorm could enhance their value proposition to customers, and thereby earn higher returns. In the third post, I will look at how multimedia competes with other media, print and electronic. And in the fourth post, I will look at how multimedia competes within the new multimedia industry. But for this second post, I will explore how multimedia producers work with the photographers who supply the content. Following the conceptual framework of Prof. Michael Porter, we are looking at the relationship on the left side of the following diagram, highlighted in red. Can Christians see no evil? Some folks probably think that. And not without reason. In my experience, some Christians do avoid negative topics. But in almost photographic terms, many Christians see the evil but choose to focus on the good. Indeed, as discussed more fully below, that’s what the Bible requires. In his recent book entitled In Search of Norman Rockwell’s America, photographer Kevin Rivoli focuses on the good. 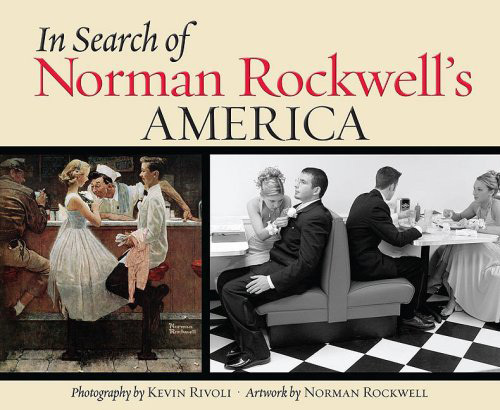 According to the book’s introduction, Rivoli’s goal is to prove that the world Norman Rockwell saw exists in reality. Disturbed by critics who dismissed Rockwell’s art as romantic fantasy, Rivoli collected photographs he had shot as a freelance photojournalist over 20 years, and paired his images with classic Rockwell illustrations. The result is both a book and a traveling art exhibit of those juxtaposed images. I chose to review In Search of Norman Rockwell’s America at least in part because it represents a very different part of Christian documentary photography from the photo essays on missionary work I have previously reviewed. I’ve tried to make the point, and I’ll make it again here, that Christian documentary photography encompasses much more than documenting the work of Christians. 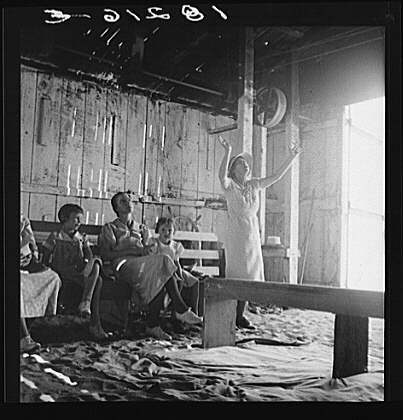 As exemplified by In Search Of Norman Rockwell’s America, this genre also encompasses any photography dedicated to showing what is virtuous in the world. In this particular case, Rivoli’s photographs do an admirable job of capturing the essence of what we are all called to contemplate. 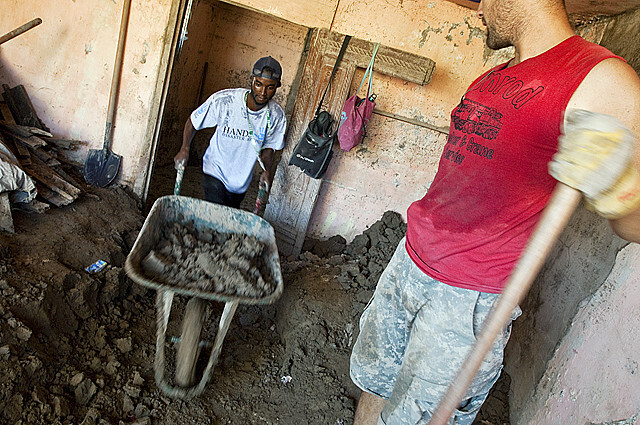 Arguably, too many Americans go on short term mission trips overseas. I don’t mean those to be fighting words. I’m merely expressing the other side of a discussion about the value of sending so many folks to help those in developing countries. If I were to do a Christian documentary photography story on that subject, I would want to be open to the idea there are limits to the need for such trips. Analyzing and communicating both sides in a balanced way is essential. 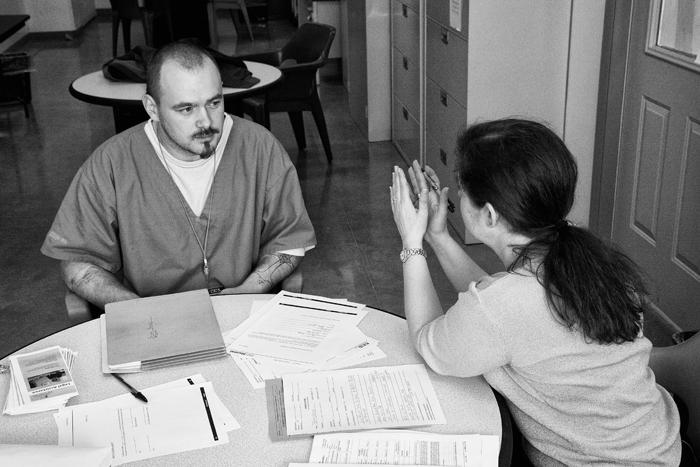 Unfortunately, a balanced assessment does not always emerge in documentary photography. In the world of political advertising veneer, we’ve all seen plenty of examples of complex topics treated shallowly. In my opinion, we need more sophisticated storytelling that communicates the pros with the cons, the good with the bad, in a nuanced way. That last part is equally important. A photo with only black and white, and no shades of gray, would usually be inaccurate and boring to boot. When putting together a Christian documentary photo essay, the photographer obviously should be guided by the purposes she expects the essay to fulfill. Is the story simply for fund-raising, or does it have some deeper purpose? Do you want to impact your audience beyond merely asking them to send the check? For the majority of stories worth telling where the purpose goes beyond just fund-raising, a case can be made for deeper and more evenhanded storytelling based on the complexities of the topics, the desires of the audience, and most of all the Word of God. Over the last couple months, I’ve shared a few stories about people struggling to undertake Christian documentary photography in a sustainable way, with a couple of them going out of business. But the challenges these photographers face aren’t unique to this specific genre. Photographers generally are suffering from an upheaval in the marketplace. Supply and demand are out of whack, with scores of photographers around the world pursuing their love of photography in the face of unprecedented competition from new sources, driving prices down. The challenge is to figure out a business model that will allow a photographer to produce pictures with a purpose in this environment, while earning a decent living. In my last post, I shared with you my excitement from having attended a program on multimedia put on by Brian Storm of MediaStorm. Brian’s company produces multimedia content on social issues, and at the same time is pioneering the development of a whole new business model. Indeed, not only is Brian charging ahead himself, but he is openly sharing the elements of his business model with other would-be entrepreneurs to help create an entire industry. Examining that business model, I find reason for hope. I have already looked at the basic markets available to still photographers, and listed some of the more common. In this post, I focus mostly on the product aspect, and specifically on the multimedia products and services Christian documentary photographers can sell in these markets, profitably. One of my more selfish reasons for wanting to host this blog is to draw upon the wisdom of the crowd. In that vein, I would like to lay out my basic plans for a Christian documentary photography project I am undertaking. I would love to get constructive criticism of this plan. 1. Why should a Christian get involved in local medical mission work? 2. Why should a Christian get involved in local legal mission work? 3. Compare and contrast medical and legal mission work. What are Local Medical & Legal Missions? A local medical mission is any program offering free or reduced cost care for those in need, born out of a love for Christ. For example, a dentist might offer free care one day each month. Or a doctor might work in a free Christian clinic 2 days a month. A local legal mission is basically the same thing, but for lawyers. Free Christian legal clinics staffed by full time attorneys and volunteers offer counseling to the poor, often for civil matters. The clinics might partner with local churches to reach out to those in need. Even though I’m not a technical person by nature, I am always on the lookout for new techniques that could be deployed to advance Christian documentary photography. Last week I had the opportunity to attend two workshops put on by Brian Storm of MediaStorm, as a part of the growing, annual festival called Footweek DC. As you may know, MediaStorm, based in New York, is one of the leading producers of multimedia content in the world. The specific format for which they are best known, and for which they’ve received many awards, is a blend of still photography, audio and video. For a good example of that, check out above the presentation of Intended Consequences by Photojournalist Jonathan Torgovnik. In this post, I’d like to share at least some of highlights I picked up over the roughly 10 hours of Brian’s lecture. If you ever have the opportunity to attend the program yourself, I highly recommend it. He explains these issues far better than I can, and seems quite happy to do so. Brian’s fundamental point, which he makes over and over again, is that multimedia opens up a whole new market for still photography, but photographers must gather the content with the intention of creating multimedia, and not simply try to create multimedia presentations as an afterthought. He continually speaks of “working with intent”, which means always thinking about the anticipated multimedia product when you’re in the field making photographs and hopefully collecting audio and/or video. As explained more fully below, there are many differences in the way the photographer collects content for a multimedia project, and it is very difficult to take a photo essay done for traditional media and create a multimedia story out of it. In this post, I will share some of Brian’s thoughts regarding how still photography, audio, and video should be collected, how someone like Brian pulls it all together, and finally how Brian presents the final work product on the web. What is Christian Documentary Photogaphy? Christian Documentary Photography is simply documentary photography that embraces Christianity as the source of guidance on moral and ethical issues. CDP need not focus on Christians as subject matter, nor themes based on the religion. Instead, it merely needs to be done with a heart for Christ. It is Pictures with a Purpose.